Every week I receive at least a handful of emails from readers who have watched one of my Practical Ed Tech tutorial videos and wanted to know how I created the video. Often those people want to know how I get the yellow circle to appear around my cursor in my videos. The answer to both questions is, I use Screencast-o-Matic to create my instructional videos. Screencast-O-Matic is available in a free version and a pro version. The free version allows you to record for up to fifteen minutes at a time (that is plenty of time for most screencasts), publish to YouTube in HD, and save videos to your computer as MP4, AVI, and FLV files. 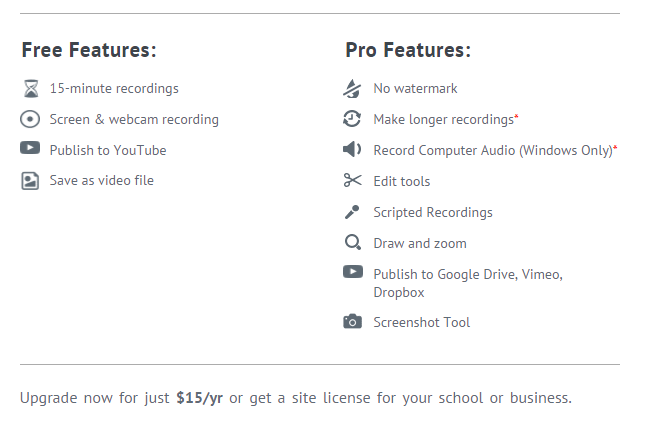 The pro version ($15/year) includes video editing tools, unlimited recording lengths, a script tool, and removal of the Screencast-O-Matic watermark. Both versions of Screencast-O-Matic include a highlighted circle around your cursor so that viewers can easily follow your movements on the screen. 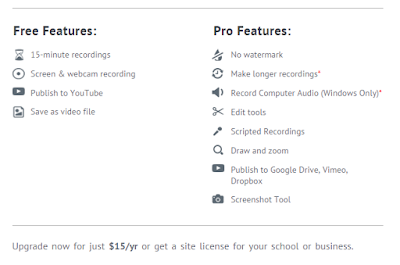 A webcam recording option is included in the free and pro versions of Screencast-O-Matic. Screencast-O-Matic won't work on Chromebooks. I recommend using Screencastify or Snagit for Chrome to create a screencast video on a Chromebook. On a MacBook you can use QuickTime to create a screencast video. Screencast videos can be helpful in delivering instruction on how to use a program on a computer or how to use a website. You can also use screencasting tools to create short flipped lessons by capturing yourself talking over a set of slides that you display on your screen.